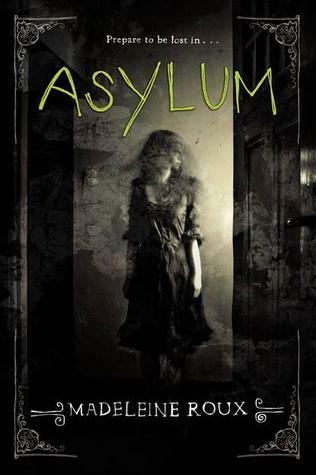 Madeleine Roux’s New York Times bestselling Asylum is a thrilling and creepy photo-illustrated novel that Publishers Weekly called “a strong YA debut that reveals the enduring impact of buried trauma on a place.” Featuring found photographs from real asylums and filled with chilling mystery and page-turning suspense, Asylum is a horror story that treads the line between genius and insanity, perfect for fans of Miss Peregrine’s Home for Peculiar Children. This book deals with a 16 years old boy called Dan who is going to spend summer at a college program and he has been accommodated in a hostel which was previously an asylum. Now as the story progresses we learn that the asylum was not only a place to treat the mad but also weird experiments were preformed on them. I was thrilled and shocked throughout the book when I came across new twist and some dark secrets. The creep factor was awesome! The book has old, freaky pictures which I absolutely loved. The writing is great, but not mind-blowing. Like I said, it relies on the pictures to help with the creep. So while I couldn’t tear my eyes off the page, it was mostly for the mystery and the pictures. Not the writing. The character build-up was good and Dan’s character slightly irked me and i think we will be able to see more of the truth about him in the next book. Since he was adopted, there are many questions surrounding his real identity like Who are his actual parents? Can he be a psychopath? etc etc….